by assigning each specific tasks to overcome obstacles. game control wasn't so awkward. Not NEARLY AS GOOD as the lemmings! Incredibly stupid and boring! 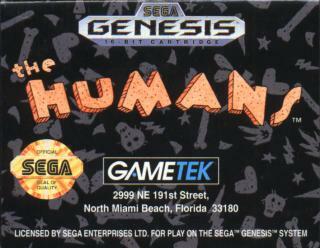 and by the makers of that evil demon gadet twins game, GameTek! AVOID!!! 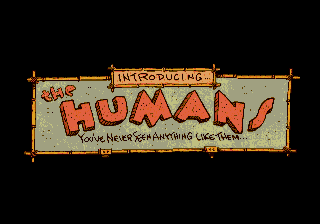 The Humans game is awesome!!! My whole family loves it!!! We have been trying to buy it for years and finally bought it at an auction on ebay!! 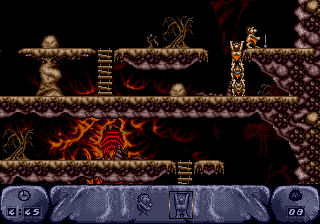 Some kind of strange Lost Vikings / Lemmings crossover-esque game. Played it a while ago, it was pretty fun. Give it a try if you're a fan of either of the abovementioned games. i used to love this game and now that i found it stored away in a box i installed it and wanted to play again but i lost the sheet that allows me to begin playing the game...you need a code per picture when it begins and i do not have that sheet if anyone out there has it can you please give me a copy e-mailed to me at kimmiey_jo@yahoo.com with the subject The Humans?????????????????? Anyone know how to do the level "Keep your wits about you"? Is there a solution to level 51 "Keep Your Wits About You"? It seems like an impossible level!